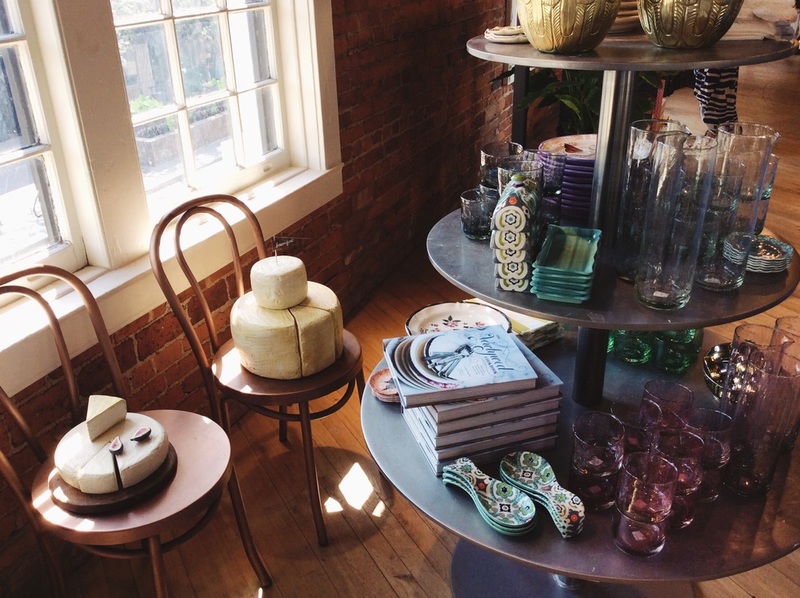 The Story of Fall is what is debuted on this month's Anthropologie Fall 2015 catalog. 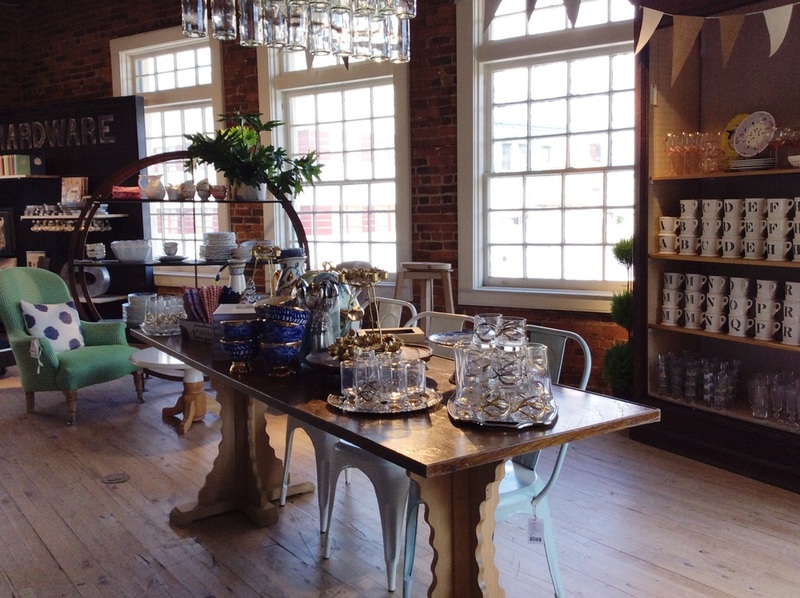 Over the weekend I wanted to do some light shopping and was eager to go and visit Anthropologie. I recently visited the Montclair, New Jersey location, and it's something about this particular location that keeps me in the store for hours. Last year I discovered that Anthropologie carried hand creams & beauty products, so of course it became somewhat easy(not really) to walk straight past all of the amazing articles of clothing and head straight to some of these beauties pictured above. As I came closer to the products and placed my hands on them, what became instantly mesmerizing were all the BEAUTIFUL packaging and attention to detail on the perfume bottles and hand creams. There was not one item that spoke too loud or overpowered another product in color or detail. Each item carefully compliments its counterpart. I had so much fun smelling and playing in Anthropologie's hand creams! They all smelled so good and it became rather difficult to choose just one considering I had a $100 budget for beauty products. I wanted everything! Although Anthropologie carries their own line of fragrances, hand creams and candles, they also carry the Tocca brand in their brick & mortar locations. The brand definitely compliments Anthropologie well. Next, I made my way upstairs and it became increasingly more difficult to not pick up any clothing! But what caught my attention however were the home & kitchen items upstairs. As I get older, I realize how it important it is to enjoy the space that you live in, and decorate with what you feel will give your home character and personality. Aren't those purple plates beautiful?! Next up, bedding. Ok. I never have a desire to lay on Anthropologie's queen size bed, says no one ever! All photos were taken from my iPhone 5s. 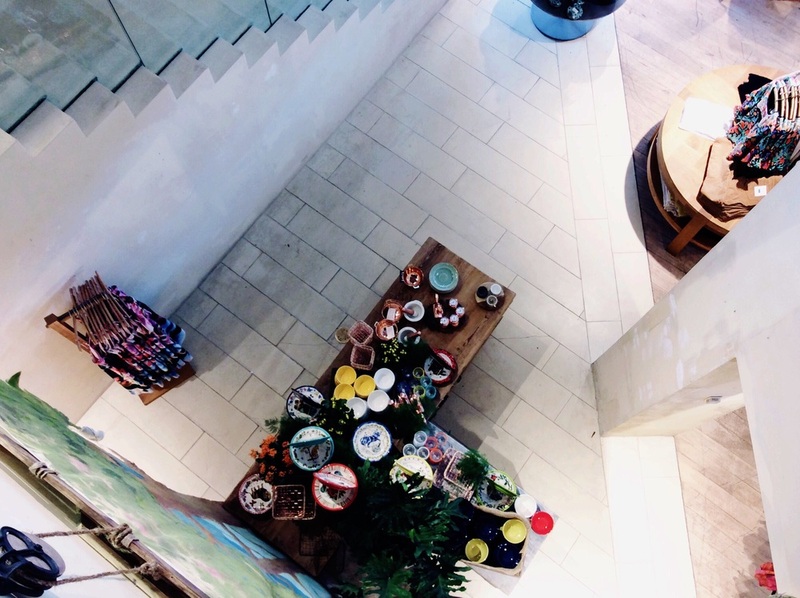 Photo taken from above the second floor of Anthropologie, Montclair. Needless to say, I eventually had to make my way back downstairs. I totally got lost in time and playing in product that I forgot the guest that I had waiting on me downstairs. Oh boy! If you have a few hours to spare throughout your week or off day, be sure to make your way to Anthropologie and get lost in time, and of course, their clothing and beauty products! Hi. I’m Bridgett McNeill, and I am the founder of Bridge Over Waters, an inspirational lifestyle blog that focuses on connection, journey, destination. Read more about the Editor here.